Lion's Den Sound System inv. Vibronics, Saralène & Empress Shema – 24.05.2019 23:01 @ YAAM | ASK HELMUT – Best time out in Berlin. 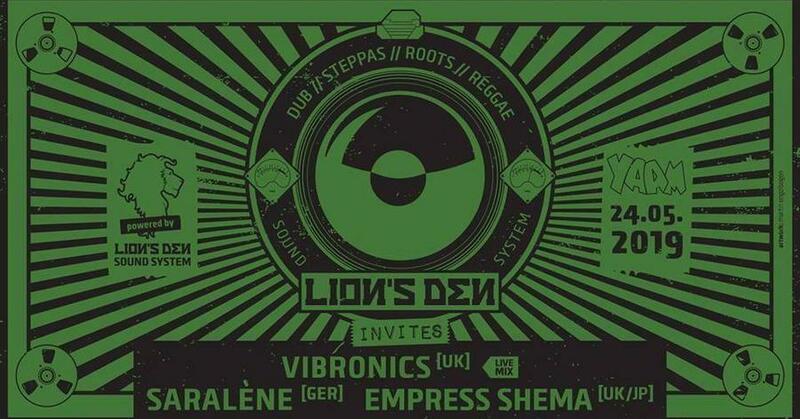 Lion's Den invites… VIBRONICS, SARALÈNE & EMPRESS SHEMA - !! powered by Lion’s Den Sound System !! get ready for the ride!! !